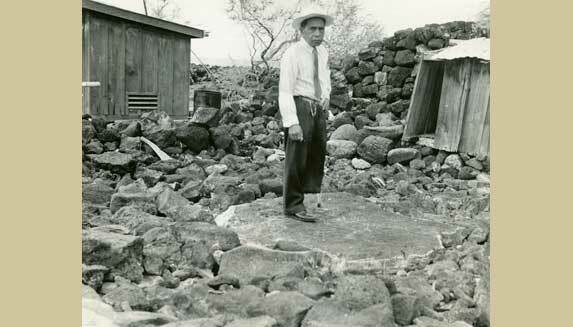 This large stone in the middle of the house of Hale Pua Ilima, in which King Kamehameha breathed his last, was used in diagnosis by kahunas at that time. 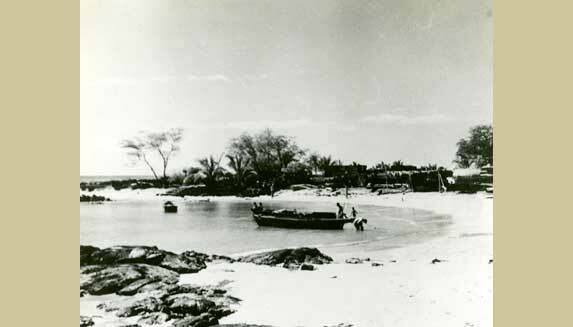 The person on the stone is Mr. Henry E. P. Kekahuna. 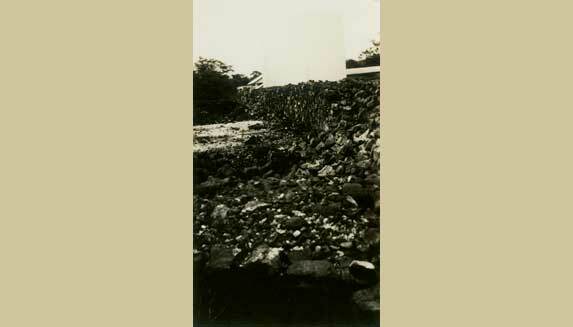 Ceremony connected to moving the Kauikeaouli (Kamehameha III) stone from Kailua Kona to Keauhou, where he was born. 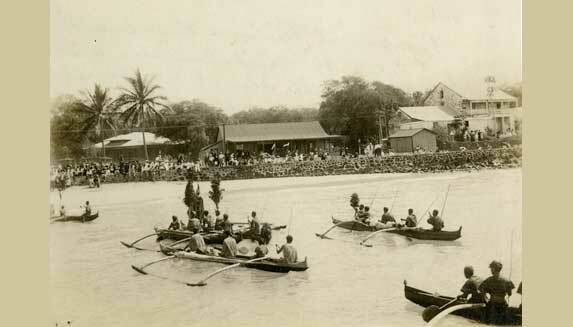 The Daughters of Hawaii presented the pageant. 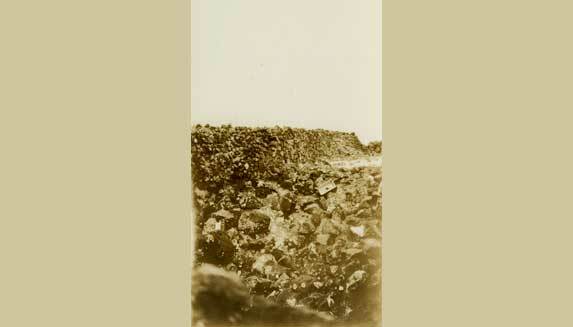 Queen Liliuokalani, Mr. and Mrs. Curtis Iaukea and Mrs. Lahilahi Webb were present at this event. 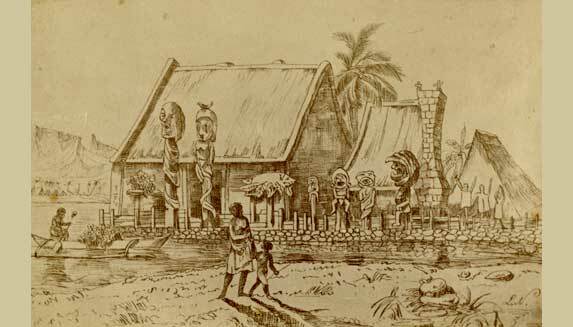 Artwork depicting Ahu'ena Heiau on the island of Hawaii. 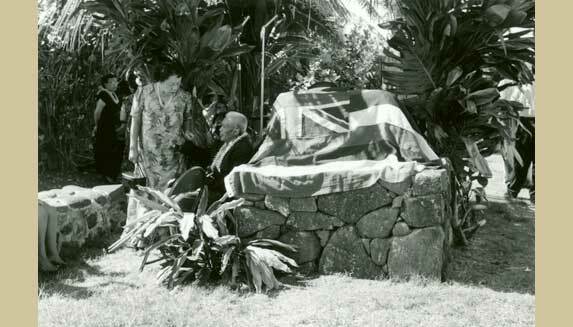 The unveiling of the plaque in commemoration of Kamakahonu, Kailua, Kona, Hawaii. 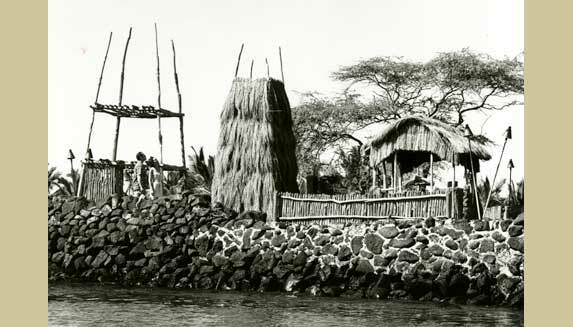 The platform of the Ahu'ena Heiau was restored by Amfac in 1950 using visible alignments for the foundation, and without previous historical research. 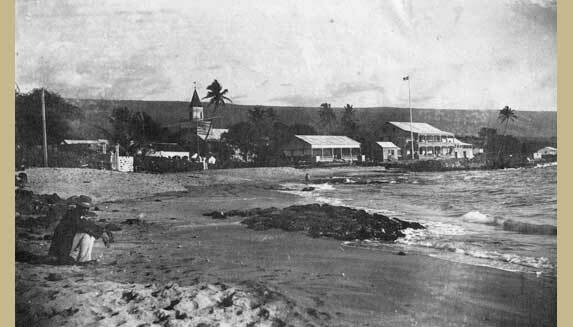 The restored platform, with an offertory tower and a thatched hale pahu enclosed with an ohia fence, served as the setting for the evening torch lighting ceremony. 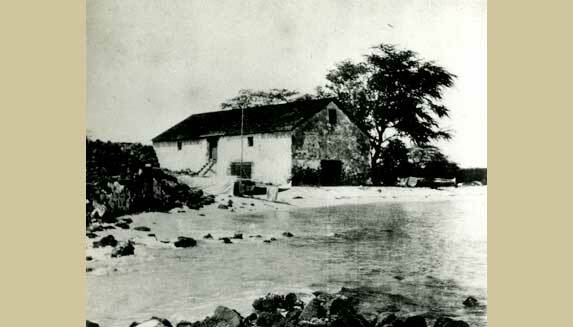 View of Kailua-Kona landing with Mokuaikaua Church and Hulihee Palace in the background; Kailua, Kona, Hawaii. 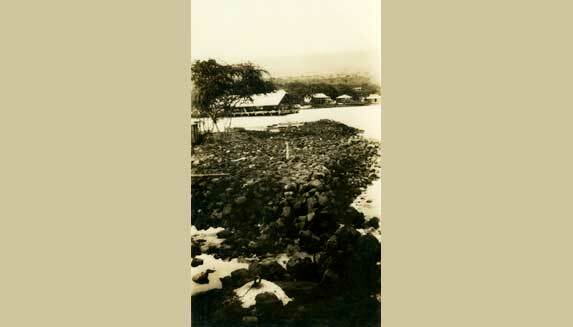 Photograph of Ahu'ena Heiau, taken from wall at back, overlooking all platforms of main structure; Kailua, Kona, Hawaii. 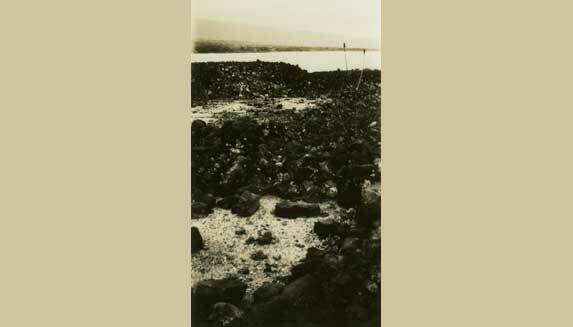 View of Ahu'ena Heiau taken from makai (seaward) end, showing pit inforeground, middle and upper platforms, a wall at end, great wall at right, Kailua, Kona, Hawaii. Photo by John Reinecke, 1930.